Choose your tartan for your new Kilt. On this page you can choose the kilt that goes with your package deal, or alternately, you can purchase one as an individual item. 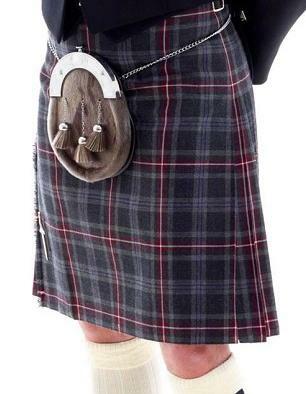 The price for our 8yard High Quality Pure Wool Kilt is *** £289*** ...This price includes a set of Sock Flashes to match. 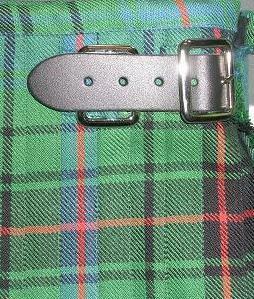 All our new kilts have twin waist straps and twin waist buckles, in anticipation of some weight fluctuation through the years!! .. I.E ..If a 36" Waist is ordered, the kilt will have a 2nd Buckle set at 38" Waist to make it future proof ....or should i say 'Food Proof!! Please click on the link below to choose your tartan .. this is the woolen mill that we use regularly, if you cannot see the tartan you want in their range we can most probably source it for you for a small additional charge.